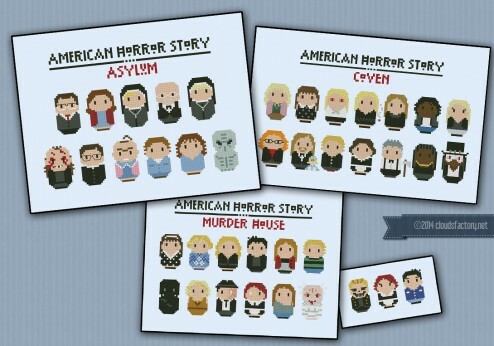 This is a bundle offer for the three seasons of American Horror Story: Murder House, asylum and Coven. 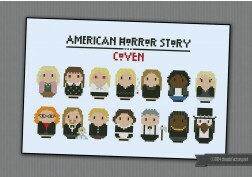 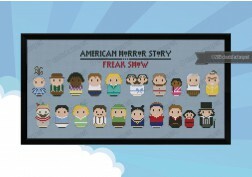 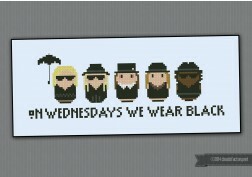 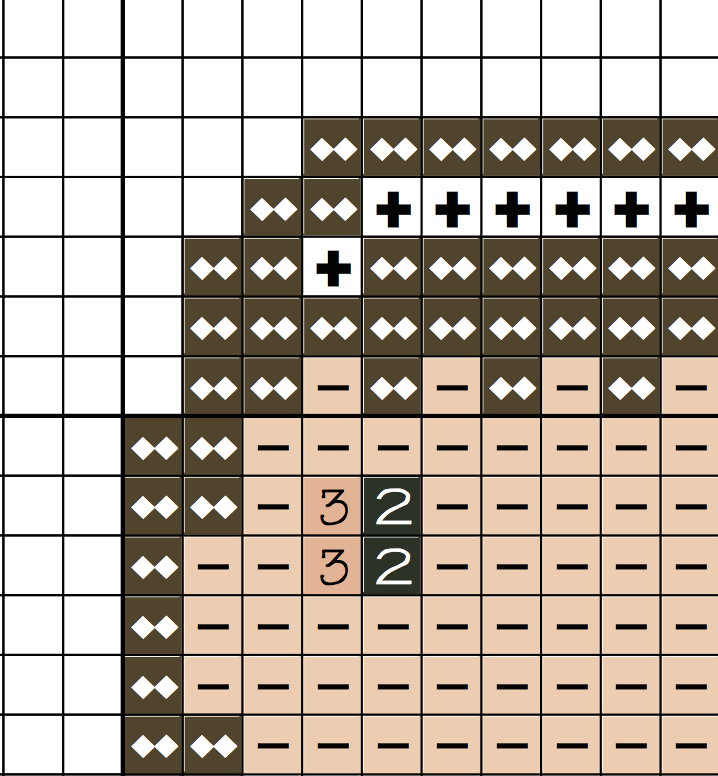 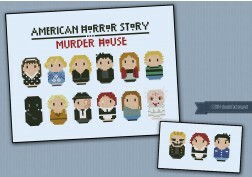 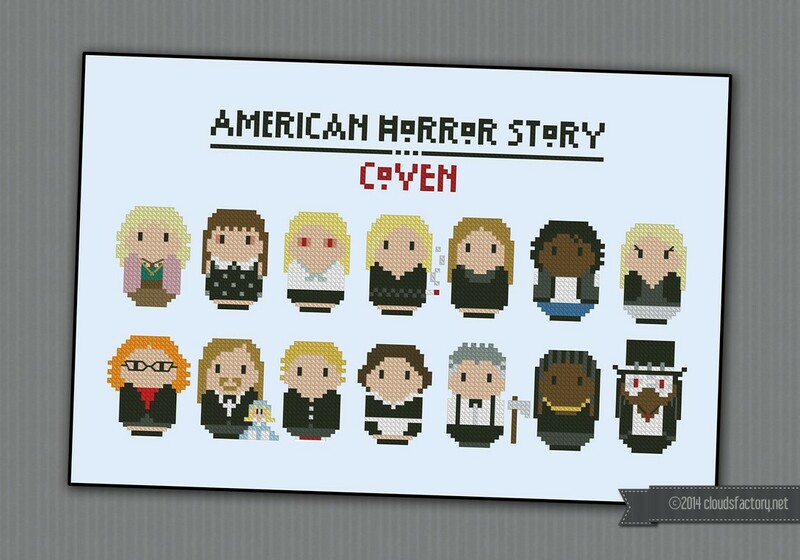 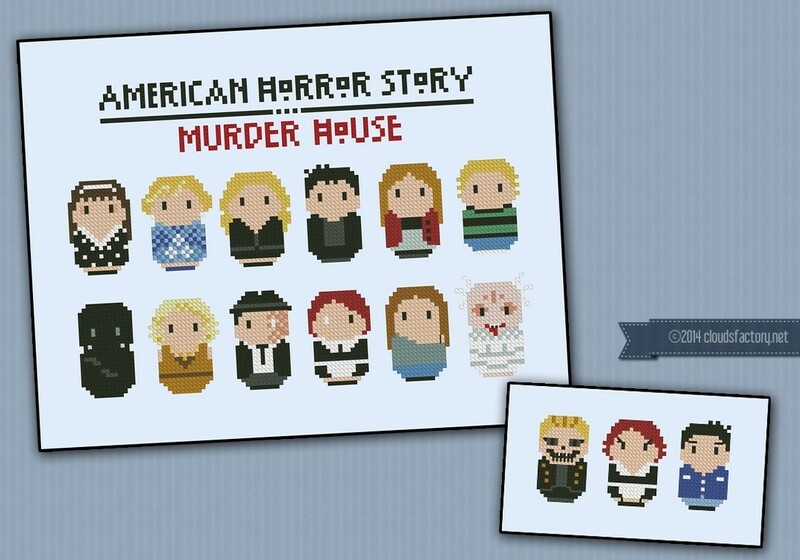 From the First Season of American Horror story, Murder House a cross stitch pattern featuring: Adelaide and Constance Langdon, Vivien, Ben and Violet Harmon, Tate Langdon, and then the Rubber Man, Nora Montgomery, Larry Harvey, Moira O'Hara, Hayden McClaine and the cellar monster. 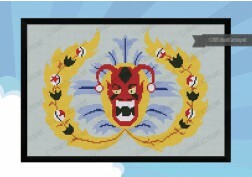 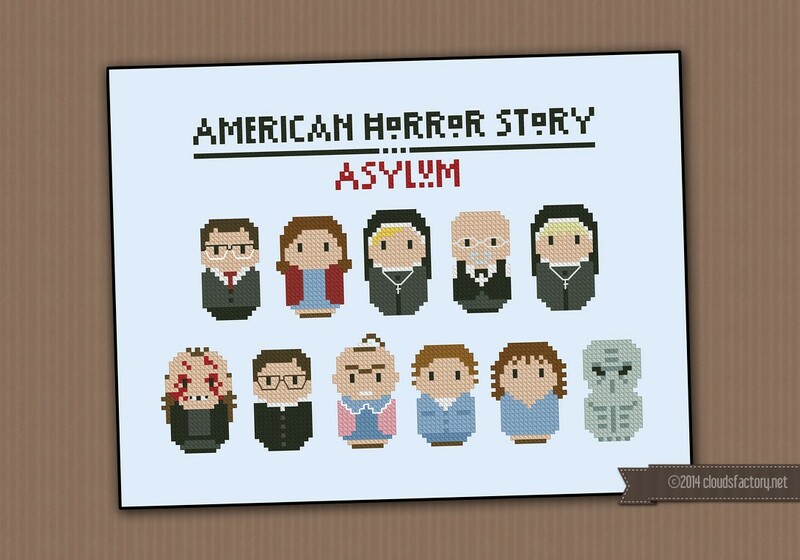 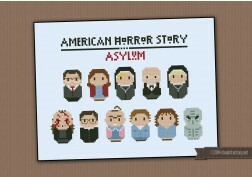 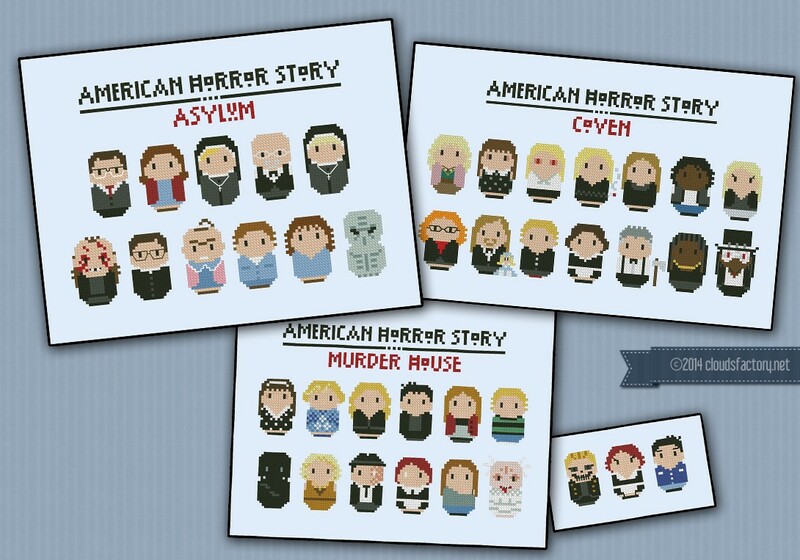 From the Second Season of American Horror Story, Asylum a cross stitch pattern featuring: Dr. Oliver Thredson, Lana Winters, Sister Jude, Dr. Arthur Arden, Sister Mary Eunice, and then the murder monster, Monsignor Timothy Howard, Pepper, Kit Walker, Grace and an alien.